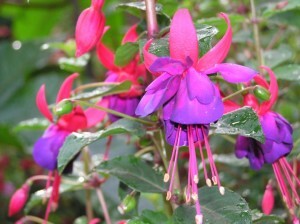 Visitors can view dozens of labelled cuttings from the Hardy Fuchsia Collection. Handouts on fuchsia care, fertilizing, using fuchsias to extend the summer color in your garden, and where to purchase fuchsias locally will be available to take home. Over 60 varieties of hardy fuchsias will be on display at PowellsWood Wednesday September 13th through Saturday September 16th. We will have fuchsias for sale, too! Looking for a beautiful place to hold your holiday party? 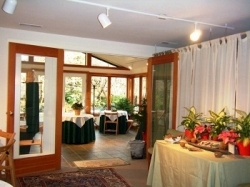 We are currently taking reservations for the Garden Room at PowellsWood for holiday gatherings. Set in the midst of the three-acre garden at PowellsWood, the Garden Room provides a quiet and scenic retreat for your business or social gathering.